Reesink Turfcare, the UK distributor for top turfcare brands including Toro, TYM Tractors and Otterbine lake and pond aeration, has invested in six new service vehicles for its mobile technicians. Reesink Turfcare has invested in a fleet of six new service vehicles to expand its customer service offering. With the up-to-date and extended fleet, Reesink is now more equipped than ever to provide customers with an effective and dependable service, says Reesink's operations manager David Jackman. 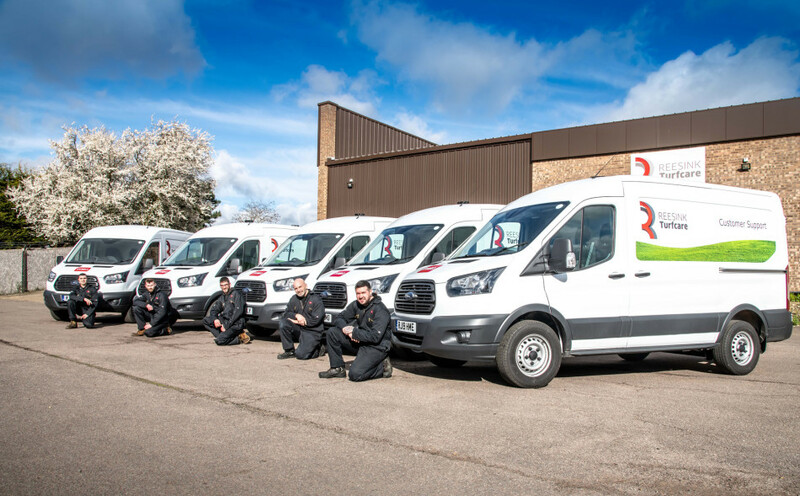 "By investing in this new fleet of vans, we have more reliable and efficient equipment, which means we can provide an improved service to our customers," says David. "We take maintenance of our products seriously and this fleet of vans is essential to deliver back up if and when it's needed. We pride ourselves on providing excellence and that doesn't just begin and end with the sale of the product." Three of the vans will be at Reesink's Sheffield Park service branch in East Sussex, one at the branch in Livingston, Scotland and two at the East Anglian service branch based at the company's headquarters in St Neots. David continued: "We have a particular focus on customer service, ensuring it expands in line with the company's growth and we want to build on our relationship with our customers within our direct areas. This investment is the next step in strengthening that relationship." The six vans all come fully racked which includes a work bench and shelving kit solution, and can easily transport all the tools and parts needed for on-site service visits and breakdowns. David concludes: "We're completely committed to delivering exceptional service and these vehicles guarantee we have the right equipment for the job. We're looking forward to seeing the new fleet in action and supporting our customers."